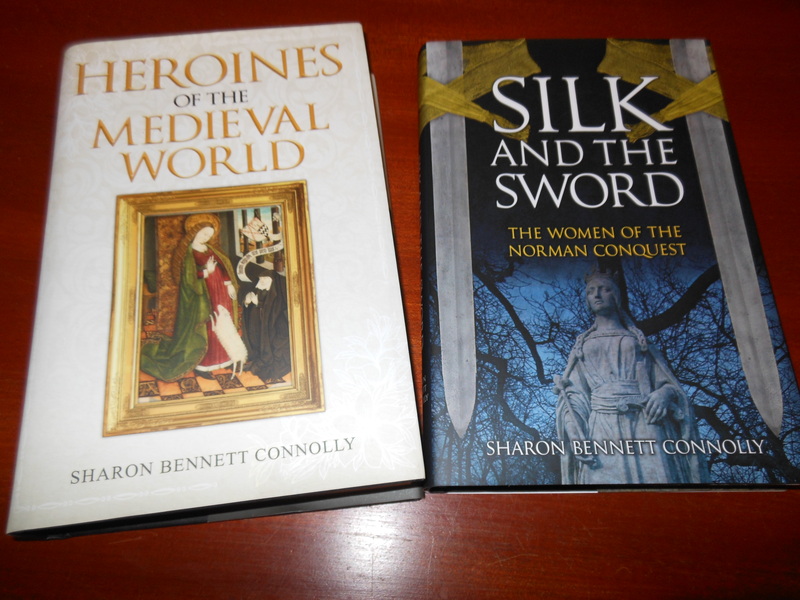 Medieval History – Page 2 – History… the interesting bits! 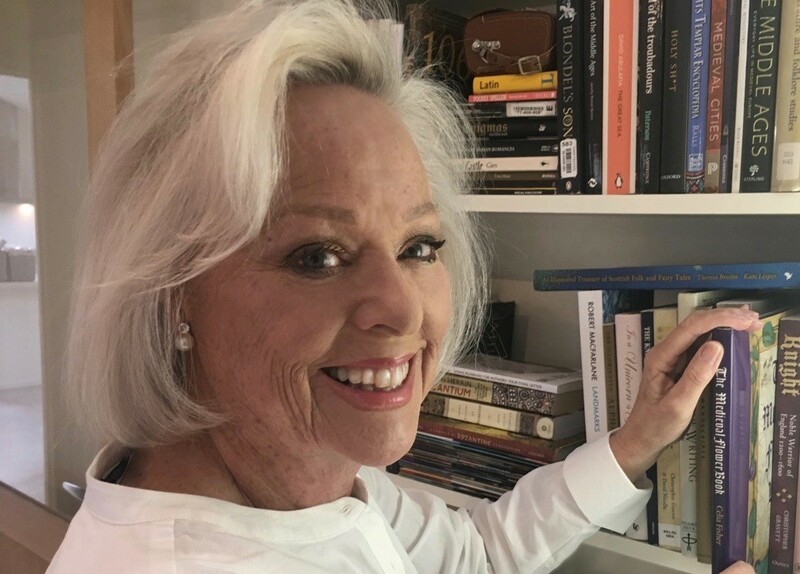 It is with great pleasure that I welcome Prue Batten to the blog today, on the very day of the release of her latest novel, Michael. Hi Prue, thanks so much for agreeing to an interview on History… the Interesting Bits. Welcome. Thanks so much Sharon for inviting me. In the case of my fantasies, inanimate things like embroideries, paperweights, a Japanese cloth made of paper and silk called shifu. And most lately, as I begin another fantasy – maps and cabinets of curiosity. Tell us a little about the book you have written so far. Please, tell me about your new book, Michael. The blurb reads thus but like all blurbs, seems to change on a daily basis as one tries to tweak it! Michael is filled with grief and fury, intending vengeance for a treasure lost to him twelve years before. 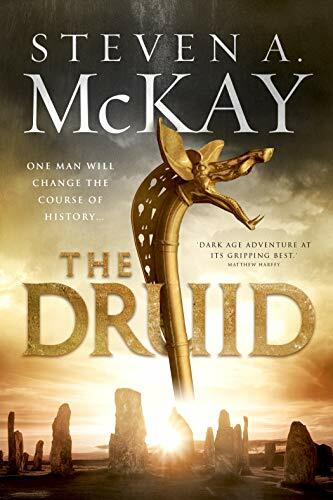 He must trust in priests, defy the empire and guard those dearest to him as he searches, because he understands that to restore what is rightfully his, he must kill… or be killed. In this final standalone to The Triptych Chronicle trilogy, Michael, Tobias and the stalwarts of the House of Gisborne-ben Simon will slice a swathe through the Byzantine city, with those who challenge them hard on their heels. How do you organise you writing day – do you write every day? I try with minimal success. Some days, I’m lucky if I write 150 words. Some days I’ve written up to 2000. But if I have a ‘writing day’, I begin with business. I clear my emails and social media and then I sit and read the previous chapter to the point where I must continue. I write with a pen and A4 paper, so the pages are filled with cross-hatching and bold black lines. When I have about 10-12 pages written, and having edited it (many times), I will then transcribe to the computer which is another edit in itself. Seclusion, placing myself elsewhere, concentration of the mind, being mindful. Also, I am one of the few writers that seems to love working with the editor. It’s akin to working with a swimming coach. Writing is so solitary and once the editor steps in, there’s a chance to lay out ideas and styles. I always visualise my editor striding up and down the pool beside me, shouting out instructions as I swim laps. I have a good relationship with my editor! What is your least favourite thing about being a writer? Finishing the first draft! And once the book is as polished as it can be, and is published, watching my dashboards to see if anybody buys it. How do you see social media (such as Facebook and Twitter), is it a blessing, a hindrance, or a necessary evil? A blessing. I love social media for two reasons. One is that solitude issue. Social media enables one to break out of the bubble and communicate with kindred spirits everywhere – be they writers or readers. The other is that living as far south of the globe as one can go without falling off the end of the world, I get to meet and make friends with people I might never meet otherwise. I think to take those friendships through the years, even if I cease being a writer, is the most wonderful gift. What is your favourite period in history, and why? What story would you really like to tell, but haven’t written yet? Who is your favourite historical character and why? Who are your favourite authors who inspire you? So many, through the years, beginning with Rosemary Sutcliffe as a teenager. 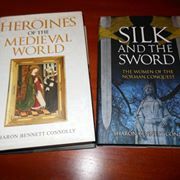 Others are Dorothy Dunnett, Mary Stewart, Simon Turney, Matthew Harffy, Michael Jecks, and Christian Cameron, Kathryn Gauci and Elisabeth Storrs in the hist.fict genre. In fantasy? Tolkein, Juliet Marillier and Cecilia Dart Thornton. In contemporary fiction? Jan Ruth, GS Johnston, Jilly Cooper. And they are all just a few of many exceptional names. What is your favourite all-time book , the one that you cannot do without? Niccolo Rising. Who cannot fail to be drawn in by three drunk men sailing downriver in the Duke of Burgundy’s bath tub! Anne of Green Gables by LM. Montgomery because there’s always ‘scope for the imagination’. What is the one piece of advice that you would give an aspiring writer? Thank you Prue, for taking the time to respond with such in-depth, thoughtful answers. 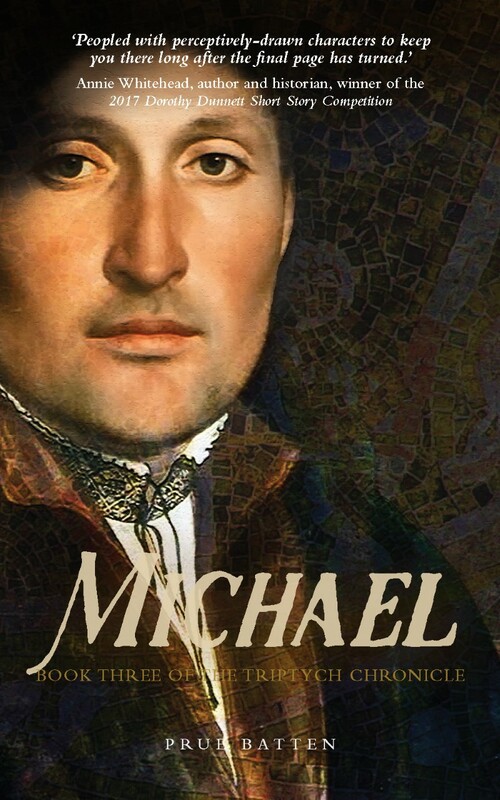 I can’t wait to read Michael! Prue Batten has been an indie writer since 2008 when her first novel, a fantasy entitled The Stumpwork Robe, was published in a POD exercise funded by the UK Arts Council. Since then, she has indie published three further books of the fantasy quartet which won awards, six historical fiction novels, some of which have also won awards, and an illustrated childrens’ book, through her own imprint, Darlington Press. She has also worked with writers of excellence to publish anthologies to raise money for cancer research and has a long-term collaboration with an American miniature press for whom she writes short stories. The first wife of Ӕthelred II, Ӕlfgifu of York is a shadowy figure in history, with very little known about her. She was probably born sometime in the 960s. Ӕthelred and Ӕlfgifu were married around 985, when he was in his late teens or early twenties; Ӕlfgifu may have been a little younger. The monk Ailred of Rievaulx, writing in the 1150s, identified her as the daughter of, Thored. Ailred had served in the household of David I, King of Scotland, a great-great-grandson of Ӕthelred II and Ӕlfgifu through his mother, Queen Margaret and so Ailred was well place to learn the ancestry of King David with some accuracy. 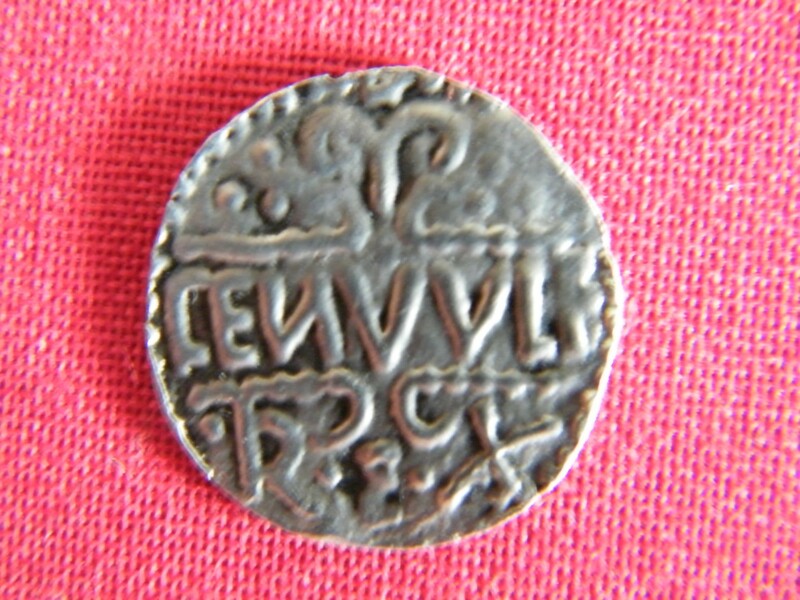 Thored was Earl of Northumbria between, about, 975 and 992 and regularly attested charters by King Ӕthelred II during the 980s. Marriage to the daughter of the leading noble of Northumbria would have been a beneficial move for King Ӕthelred. It would have helped to expand strengthen his influence over the north of England, an area notoriously independent of the royal administration of the south, and bring him powerful friends and allies. Ӕthelred was the youngest son of King Edgar the Peaceable and his last wife, Ælfthryth. The grandson of Edward the Elder, and great-grandson of Alfred the Great, Edgar was king from 959 until his death in 975. His wife, Ælfthryth, was probably born around 945; she was the daughter of Ealdorman Ordgar of Devon, her mother an unknown woman who is said to have been descended from the royal family. She was first married around the age of eleven to Æthelwold, the son of Æthelstan Half-King, ealdorman of East Anglia. However, Æthelwold died in 962, probably in a hunting accident, although there were rumours of murder on the orders of his wife’s supposed lover, King Edgar. Edgar’s marital history was already chequered. Ælfthryth could be Edgar’s second or third wife; she was certainly the third relationship by which children were born. Ælfthryth and Edgar were married in 964 and were soon the parents of two sons; Edmund and Æthelred. Despite having an older half-brother, Edward, it is Edmund who was treated as Edgar’s acknowledged heir; his name being above that of Edward’s in a charter of 966, witnessed by both boys, which founded the New Minster at Winchester. Poor Ælfthryth must have been distraught when, in 971 and still only a child of about seven, young Edmund died. 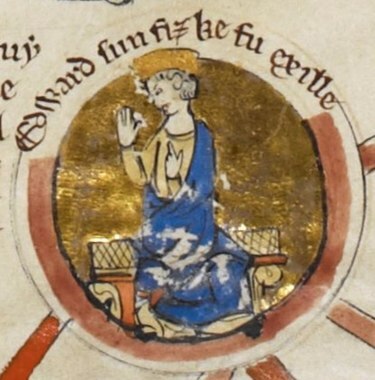 When King Edgar died suddenly in 975 it was Edward, at the age of 13, who was proclaimed king, despite Ælfthryth trying to claim the crown for her surviving son, Æthelred, who was aged between 7 and 10 years of age. Edward reigned for just 3 years before he met a violent and untimely death at Corfe Castle in Dorset. With Edward’s death his surviving brother, Æthelred, possibly as young as 10 years old, and certainly no older than 13, was now king of England, with his mother and a council of prominent nobleman to guide him. He would rule over a tumultuous period in English history, when Saxon England was under frequent attacks from the Danes. His tendency to inaction, indecision, his ineffectual handling of the Danish incursions and the fact he lost the throne to Sweyn Forkbeard, have earned him a reputation as one of England’s worst rulers. 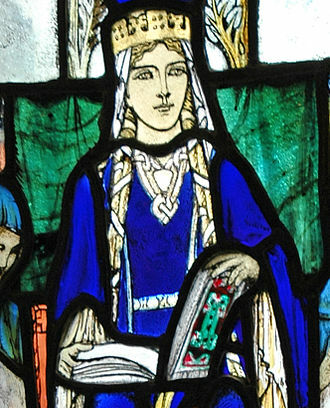 As his mother and adviser – and a force to be reckoned with – it may well have been Ælfthryth who chose Ӕlfgifu of York as a bride for Æthelred. It is also possible, even likely, that Ælfgifu was never crowned because her mother-in-law, the crowned and anointed queen, was still alive. 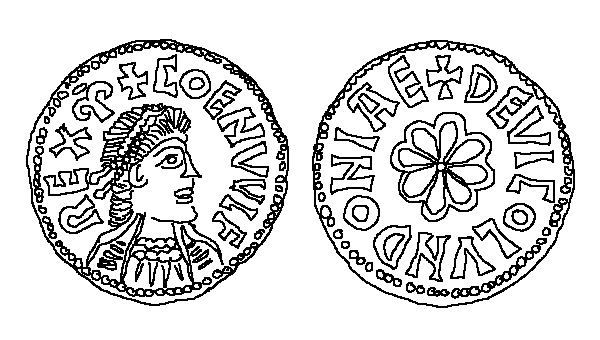 Indeed, Ælfgifu’s successor as Æthelred’s wife, Emma of Normandy, was given a coronation, but Ælfthryth was dead by then. In the 15-or-so years of marriage to Ӕlfgifu of York, the couple had a large number of children, including at least 6 boys and 4 girls. It is even likely that Ӕlfgifu’s mother-in-law, Ælfthryth, raised a number of her children, including the royal couple’s first-born son and ætheling, Æthelstan. Ӕthelstan, was born c.986 but would die before his father. He died in June 1014, either killed in battle or from wounds received during the wars against Sweyn Forkbeard and his son Cnut. Their other sons included Ecgberht, Edmund, Eadred, Eadwig and Edgar and all died young. 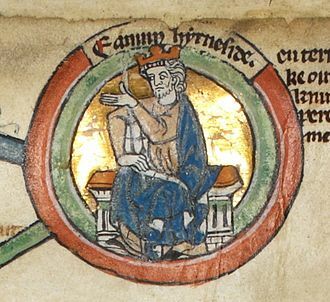 In April 1016 Edmund succeeded his father as King Edmund II Ironside but died in November of the same year, probably from wounds received in battle after a summer of constant fighting. His sons, Edward and Edmund, escaped Cnut by being sent into eaxile in eastern Europe. King Edmund’s sole-surviving brother Eadwig was murdered in 1017, on the orders of the victorious King Cnut. Of Ӕthelred and Ӕlfgifu’s daughters, three were married to prominent Saxon noblemen. Edith was married to the traitorous Ealdorman, Eadric Streona, who kept changing sides during the wars against the Danes and eventually met his death on the orders of the triumphant King Cnut. Ӕlfgifu married Uhtred, Earl of Northumbria, an ally of Edmund Ironside who had to submit to Cnut when his earldom was under threat of being overrun by the Danes. He and forty of his supporters were murdered on Cnut’s orders in 1016. A third daughter, Wulfhild, married Ulfcytel, Ealdorman of East Anglia, who was killed in the fighting of 1016. 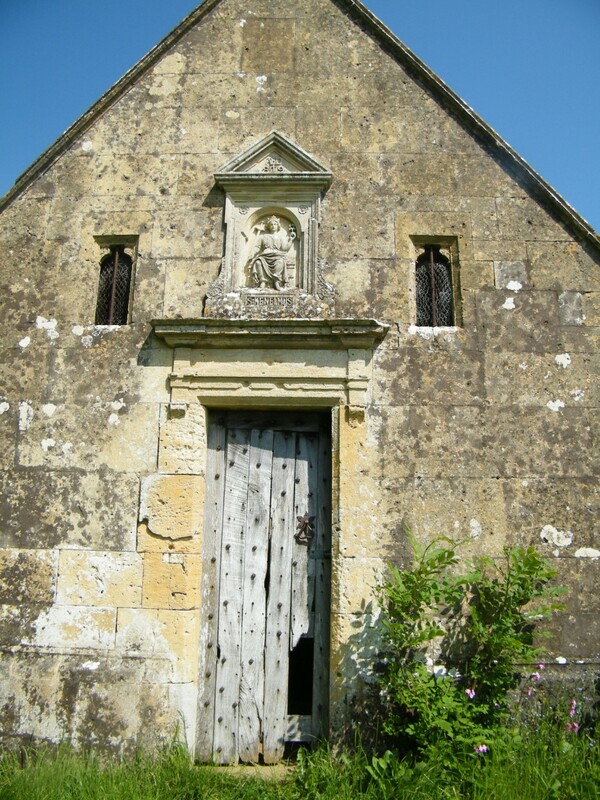 A possible fourth daughter, whose name is unknown, became the abbess at Wherwell, a prominent convent at the time, and died in the 1050s. Other than the children she bore, however, Ӕlfgifu of York has left very little imprint on history. She gets barely a mention in the chronicles of the time. 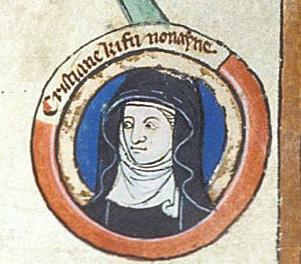 Sulcard of Westminster, writing in the second half of the eleventh century, says that she was “of very noble English stock”, but fails to give her name, while William of Malmesbury ignores her altogether. John of Worcester makes mention of Ӕlfgifu, giving her name and listing her sons but states, probably erroneously, that she was the daughter of Ӕthelberht. Ailred of Rievaulx provides us with the details of Ӕlfgifu’s parentage but, again, fails to name her. The poor woman doesn’t even make it into the Anglo-Saxon Chronicle. There is no evidence that Ӕlfgifu was a crowned and anointed as queen, unlike her successor, Emma of Normandy. We know nothing of her, not her personality or her actions during her time as Ӕthelred’s wife. We don’t even know the date of her death, though it must have been before April 1002, when Ӕthelred married Emma of Normandy. Ӕlfgifu of York’s story has been greatly overshadowed by her larger-than-life successor, Emma of Normandy, the twice-crowned Queen of England as the wife of both Ӕthelred II (the Unready) and King Cnut (the Great). 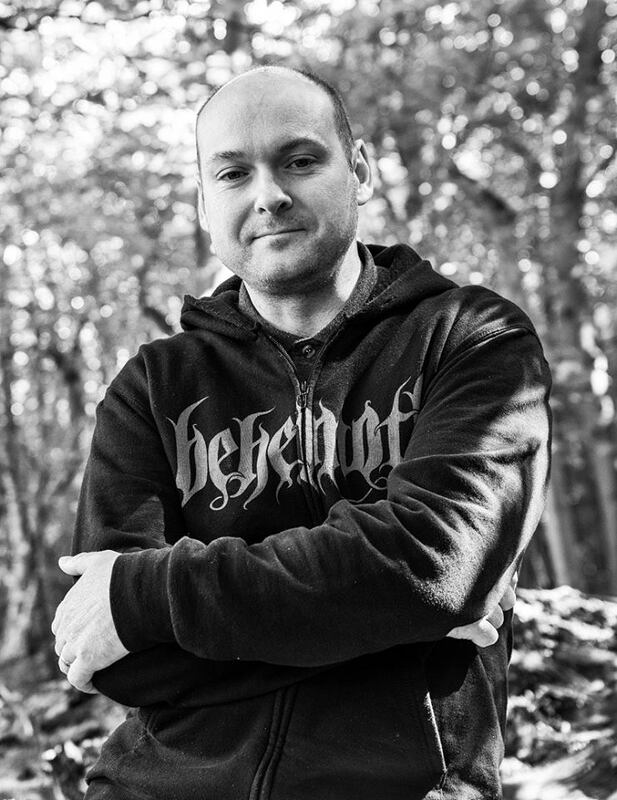 However, although she may have had little impact on history during her lifetime, it is the blood of Ӕlfgifu of York that still runs in the veins of the British royal family today, through the descendants of her son, Edmund II Ironside and his granddaughter, St Margaret, Queen of Scotland. 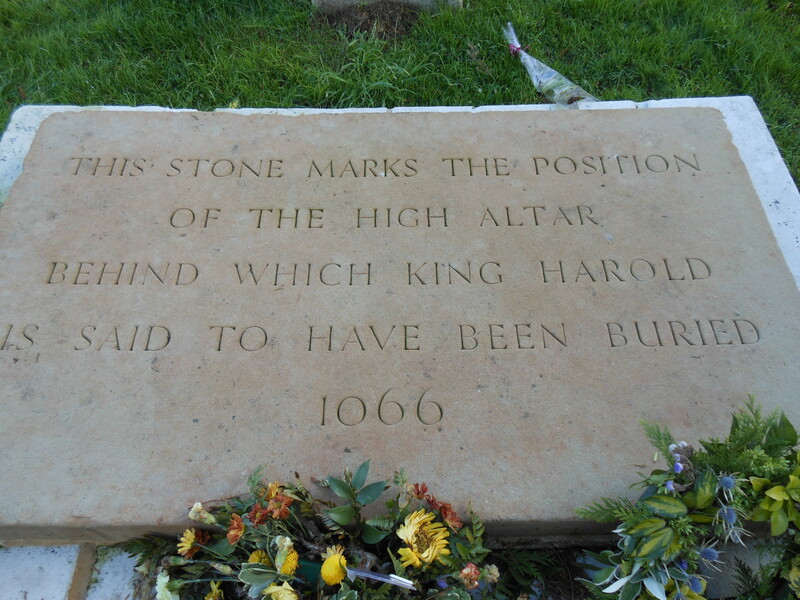 Margaret’s daughter, Edith, was married to King Henry I of England. Her name was changed to Matilda on her marriage and it is through this Matilda and her daughter and namesake, Matilda, the Lady of the English, that all English kings and queens are descended. 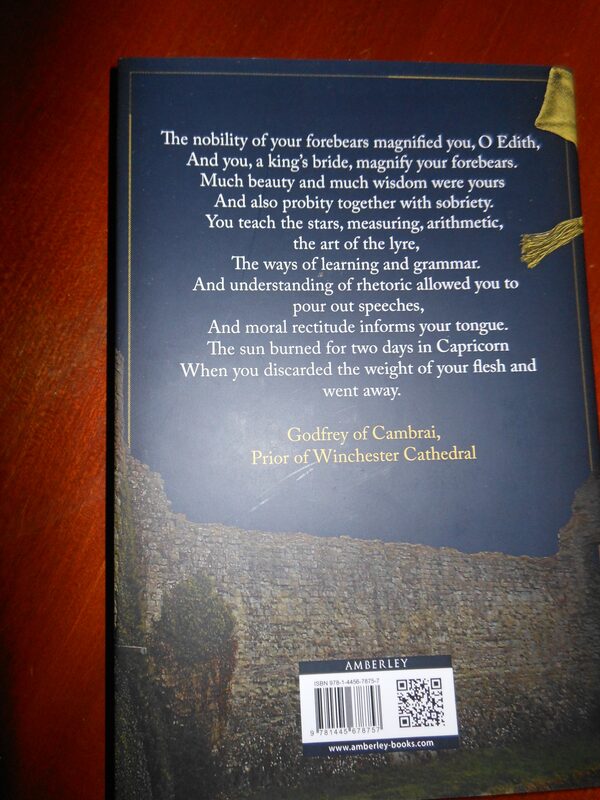 Footnotes: ¹ Anglo-Saxon Chronicle edited by Michael Swanton. ÆYou can be the first to read new articles by clicking the ‘Follow’ button, liking our Facebook page or joining me on Twitter. 12th June 2018 marks the 1100th anniversary of one of England’s greatest ever women. The daughter of Alfred the Great, Æthelflæd, Lady of the Mercians, led the resistance against Danish invasion, alongside her brother, Edward the Elder. And yet, she is virtually unknown to the people of today. 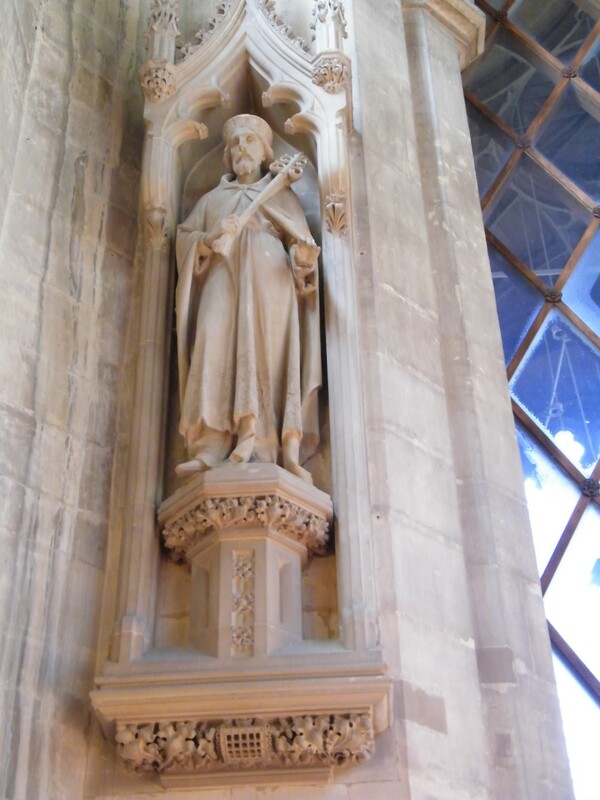 Æthelflæd was born about 870, the eldest child of King Alfred and his wife, Ealhswith. 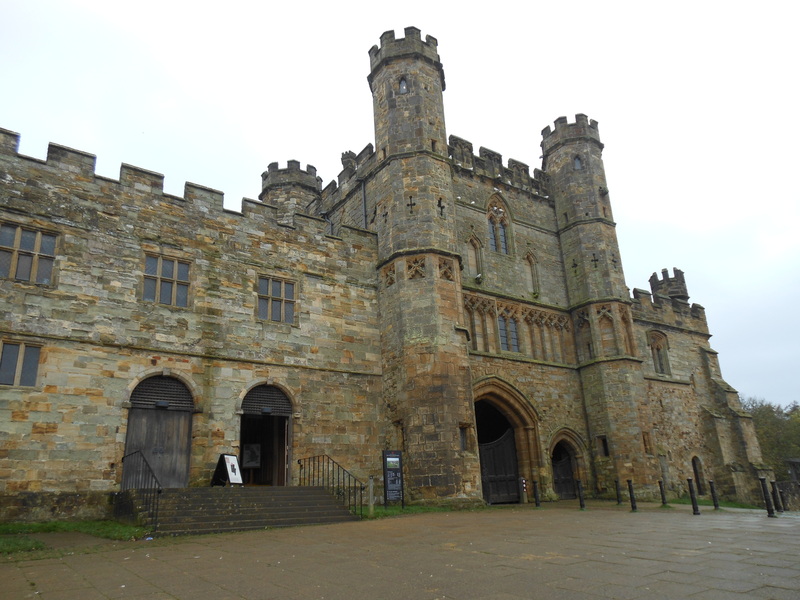 Alfred’s biographer, Asser, says Ealhswith was a member of the Mercian royal house through her mother, Eadburh. Around 886 Æthelflæd was married to Æthelred, ealdorman of Mercia and a trusted lieutenant of her father. Æthelred ruled over the English half of the Mercian kingdom, which had been dissected by the Vikings, but submitted to King Alfred’s overlordship. 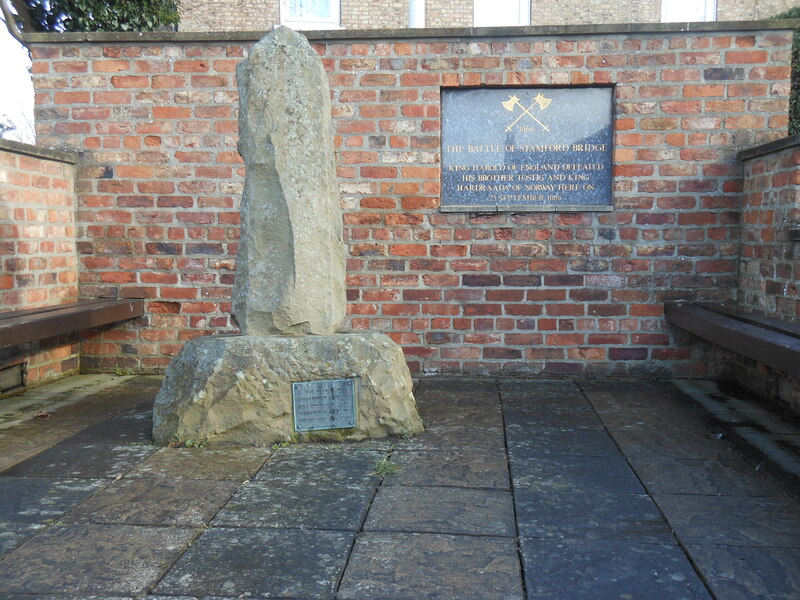 The marriage was a political alliance, intended to strengthen Saxon resistance to the Danes, who were now occupying Northumbria, Yorkshire and East Anglia. The resulting close relationship of Mercia and Wessex was only further strengthened by the renewed Viking attacks of the 890s. During the early years of their marriage the young couple appear to have settled in London, the city that had been entrusted to Æthelred’s care by Alfred. Æthelflæd seems to have taken after her father – she was a strong, brave woman and is often regarded more as a partner to Æthelred than a meek, obedient wife. The couple jointly presided over provincial courts. The ‘Mercian Register’, a fragment of a Mercian chronicle, included in some versions of the Anglo-Saxon Chronicle, records that Æthelflæd was exercising regal powers in the region even before her husband’s death. 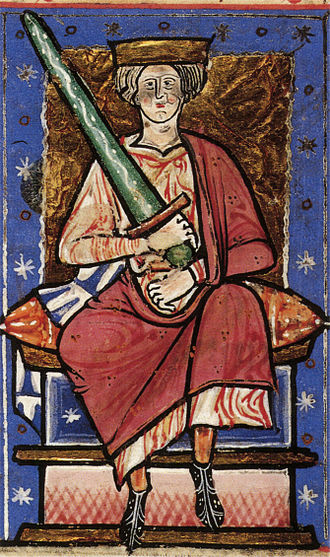 In his final years Æthelred increasingly suffered from illness, during which time Æthelflæd assumed greater authority. The couple had only one child, a daughter, Ælfwynn. Writing 2 centuries later William of Malmesbury claimed the lack of more children was due to Æthelflæd’s avoidance of marital relations, possibly due to a fear of dying in childbirth. 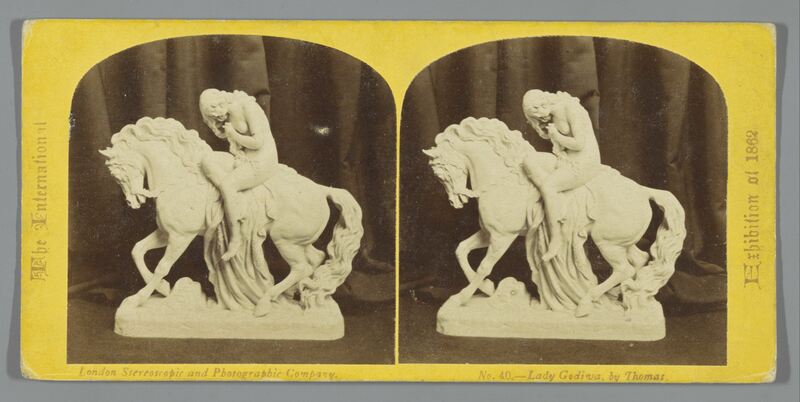 Malmesbury quotes her as saying it was ‘unbecoming a daughter of a king to give way to a delight, which after a time produced such painful consequences’. Æthelred died in 911, though whether this was from wounds received in battle or from illness remains unclear. He was buried at Gloucester. Wessex had already adjusted to a change in ruler when Æthelflæd’s father had died in 899 and had been succeeded by her younger brother, Edward ‘the Elder’. When Æthelred died, Edward was happy to support his sister as sole ruler of Mercia, but he took personal control of the cities of London and Oxford, cities that could be used as bases from which Edward would be able to launch campaigns against the Danes of the Midlands. The siblings seem to have had a trusting relationship for many years; Edward had entrusted his son Æthelstan, often viewed as the first king of England, to Æthelflæd and her husband, to be educated at the Mercian court. 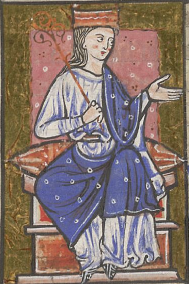 The first woman to rule an Anglo-Saxon kingdom – albeit as a client of her brother’s more powerful kingdom of Wessex, Æthelflæd was accorded the title the Lady of the Mercians. 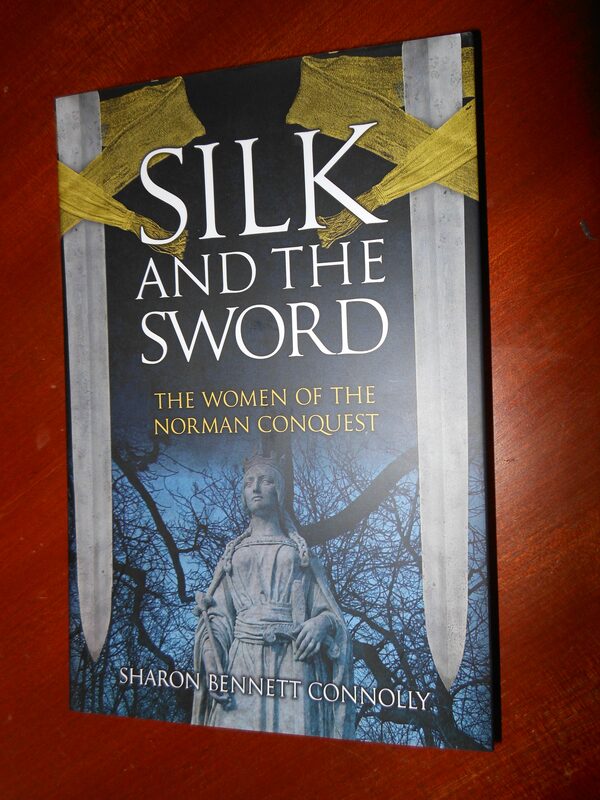 She proved to be a vital ally to her brother and the siblings worked together to combat the threats of the Danes. In 909, according to the Anglo-Saxon Chronicle, Edward sent an army, made up of West Saxons and Mercians, into Danish territory in the north. It was probably this army that brought back to Mercia the relics of St Oswald, the 7th century Northumbrian saint. They had been taken from Bardney in Lincolnshire and Æthelflæd had them translated to the new minster at Gloucester, which was renamed St Oswald in his honour. Æthelflæd continued the policy, started by her father, of building burhs and established a ring of fortified centres around western Mercia. The burhs not only provided protection against the Danes, but served as bases from which to launch attacks on Danish occupied regions. Each burh could provide a refuge for all villagers within a 20-mile radius; it would have a large garrison, depot and its own water supply. During Æthelred’s lifetime, burhs had been established at ‘Bremesburh’, Worcester (between 887 and 899) and Chester (907). Later, on Æthelflæd’s orders, in 913, fortresses were built at several further sites, including Bridgnorth, Tamworth and Stafford, in response to Viking raids into Edward’s territories. Edward built two further burhs at Buckingham in 914, plugging a defensive gap between Tamworth and Hertford. At the same time, Æthelflæd built one at Warwick and another at Eddisbury; this latter, with a new burh at Runcorn in 915, helped to strengthen her northern defences. While the Danes appeared to be the greatest risk, Æthelflæd did not neglect her defences along the Welsh border, building a burh at Chirbury and one at the now-lost location of ‘Wearburh’. In the same year, Edward fortified Bedford and in 916 he built a burh at Maldon to fortify Essex against seaborne raiding. 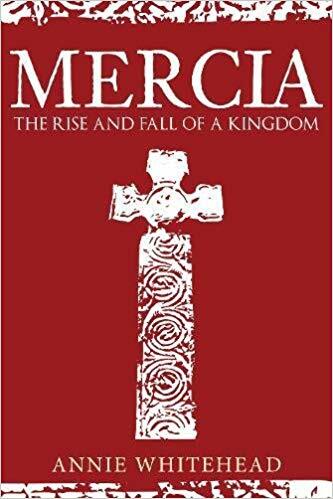 While this building programme was going on, it also seems highly likely that Æthelflæd rebuilt and strengthened the defences of Gloucester and Hereford. 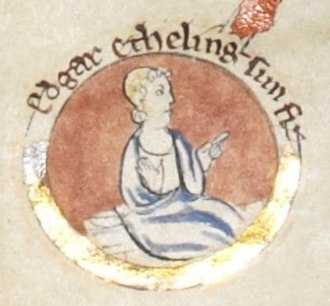 Æthelflæd was no silent partner in Edward’s reconquest of England. 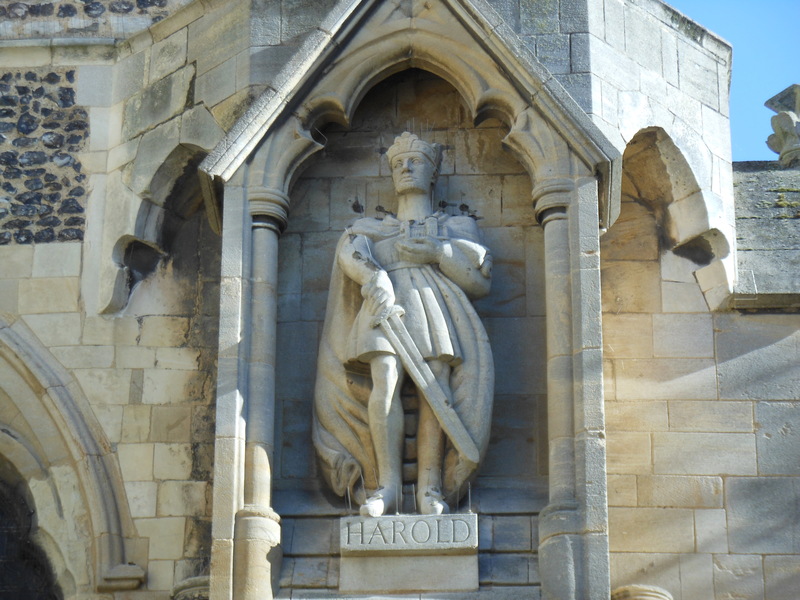 Most remarkably, she personally led successful military campaigns against the Welsh, the Norse and the Danes of York. The Anglo-Saxon Chronicle relates that on the feast of St Cyriac the Martyr, 16 June 916, the abbot Egbert and his retainers, were murdered for no known reason. 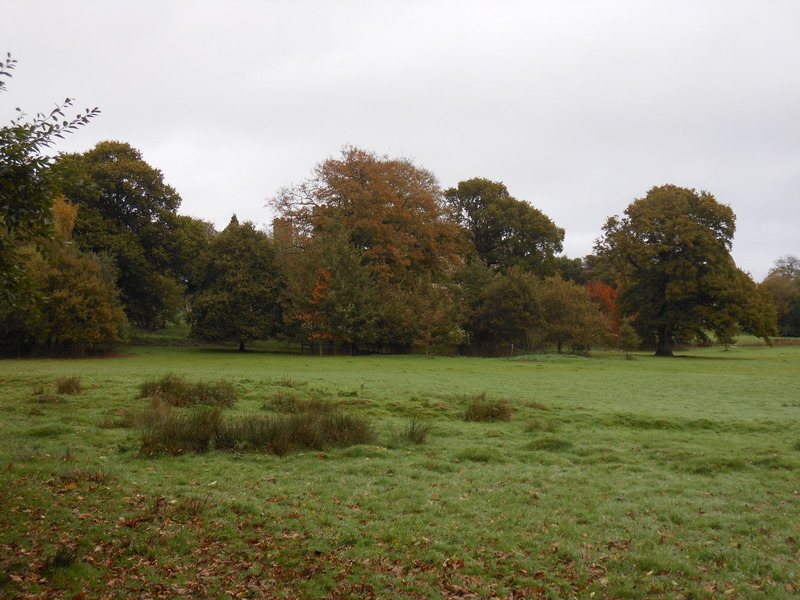 The Mercian abbot had been travelling in the Welsh mountain kingdom of Brycheiniog when he was attacked. Æthelflæd seems to have taken the murder as a personal affront; the abbot was, after all, under her protection. Three days later she invaded Wales; her army ravaged Brycheiniog, burning the little kingdom. 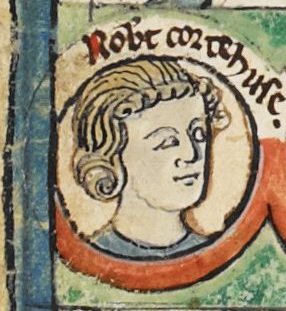 Although King Tewdr escaped, Æthelflæd took his wife, Queen Angharad, as a hostage, with 33 others, many of whom were relatives of the Welsh king. Eventually, the king submitted to Æthelflæd, promising to serve her faithfully and to pay compensation. 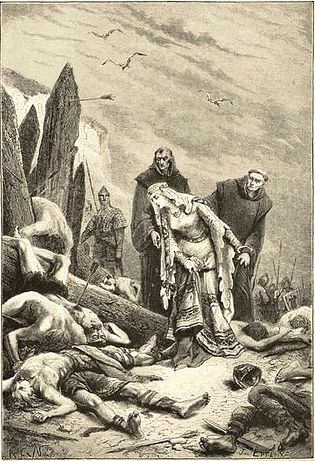 The incident not only demonstrates Æthelflæd’s commitment to her people, but also shows her strength and determination, attributes she was to put to good use against the Danes. 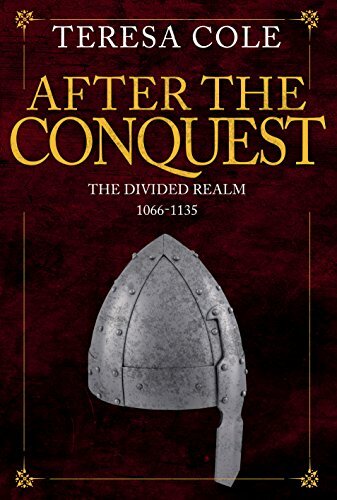 The Saxon victory was a great shock to the Danes. Their Viking myths told of an invincible woman who would appear at Ragnarok, the Norse apocalypse, and make brave warriors cower before her. 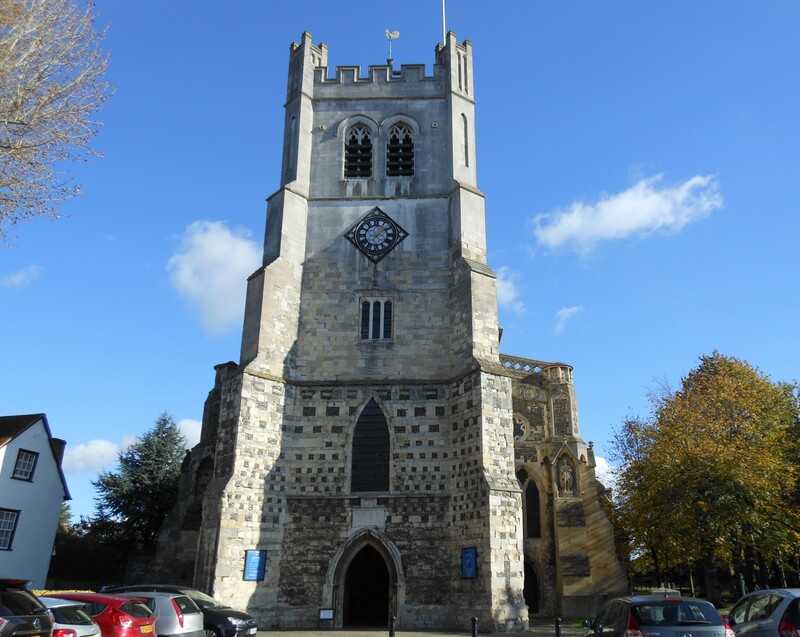 Æthelflæd was relentless – in early 918 she and her army moved on to Leicester, while Edward headed for Stamford. Leicester was the centre of a heavily settled Danish colony, and Æthelflæd ravaged the countryside around the settlement. The Danes had no choice but to surrender in the face of her indefatigable forces. However, she was magnanimous in victory, displaying mercy and charity by distributing alms as she progressed into town. The inexorable advance of Æthelflæd’s army combined with her compassion for the defeated was to prove to be a clever strategy, demonstrating to those regions still controlled by the Danes that she was prepared to offer compromise if they would only submit to her. The Danes of York, the Viking capital, in particular, began to look at submitting to Æthelflæd as a serious option to avoid continued conflict. Their new king was Ragnall, a Viking pirate from Dublin, who had taken the throne by force; but the Danes knew that Edward and Æthelflæd would never make peace with him. 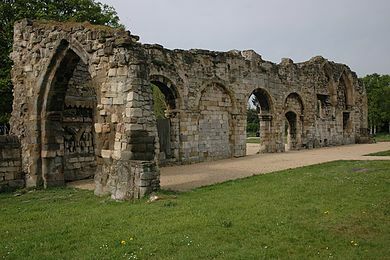 In the summer of 918 the noblemen and magnates of York sent emissaries to Æthelflæd, promising that they would surrender to her. 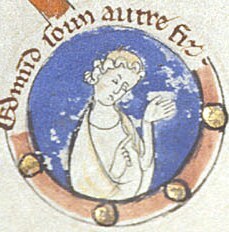 Æthelflæd died suddenly at Tamworth on 12 June 918. 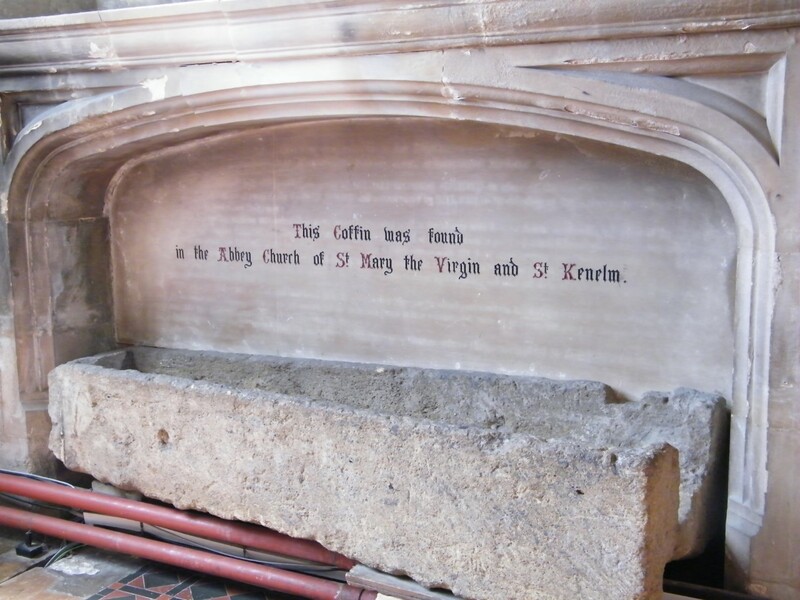 She was buried beside her husband, in the east chapel of the cathedral she had founded, St Oswald’s Minister, Gloucester. Although she did not live long enough to see the successful conclusion to the work she and her brother had carried out, her achievements cannot be lightly brushed off. Between 910 and 920 all Danish territories south of Yorkshire had been conquered. Her nephew Athelstan consolidated the kingdom that had been created by the efforts of Edward and Æthelflæd. 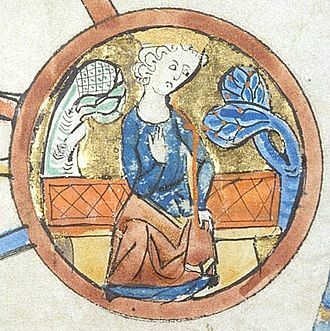 If Æthelflæd did not live to see the extent of her success, neither did she live to see her daughter, Ælfwynn, nearly thirty and still unmarried, briefly become the nominal ruler of Mercia; only to be ‘deprived of all authority’ six months later and taken to Wessex, from where nothing more is heard of her. The story of Æthelflæd mainly comes from the Mercian Register, embedded largely in the B, C and D texts of the Anglo-Saxon Chronicle. She appears only rarely in the primary text, text A, which focuses on Edward and Wessex. Text A tries to minimise Æthelflæd’s significance, but could not wholly obscure her achievements. She was, after all, the daughter of Alfred the Great, the wife of the ealdorman of Mercia and a prominent woman in her own right, in an era when this was an incredible rarity. 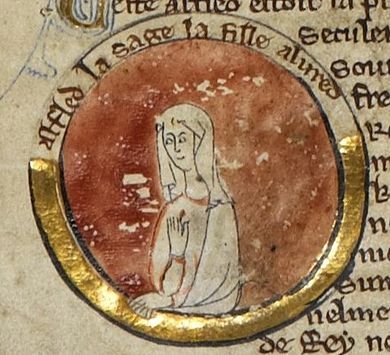 It is thought that it was Æthelflæd, the Lady of the Mercians, who inspired the 10th century poem, ‘Judith’ who is ‘white and shining’, ‘noble and courageous’. 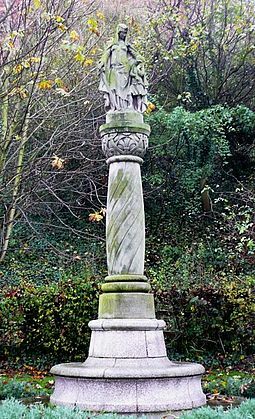 In the poem, Æthelflæd is depicted as the ‘valorous virgin’ who struck off the head of the hostile foe with her gleaming sword and ‘ascribed the glory of all that to the Lord of Hosts’. Recognising her vital role in the creation of England, the 12th century Henry of Huntingdon declared Æthelflæd ‘to have been so powerful that in praise and exaltation of her wonderful gifts, some call her not only lady, but even king’. In a poem he described her as ‘worthy of a man’s name’ and ‘more illustrious than Caesar’, apparently high praise indeed – for a woman. In the 21st century Æthelflæd’s story is becoming more widely known than it has ever been. 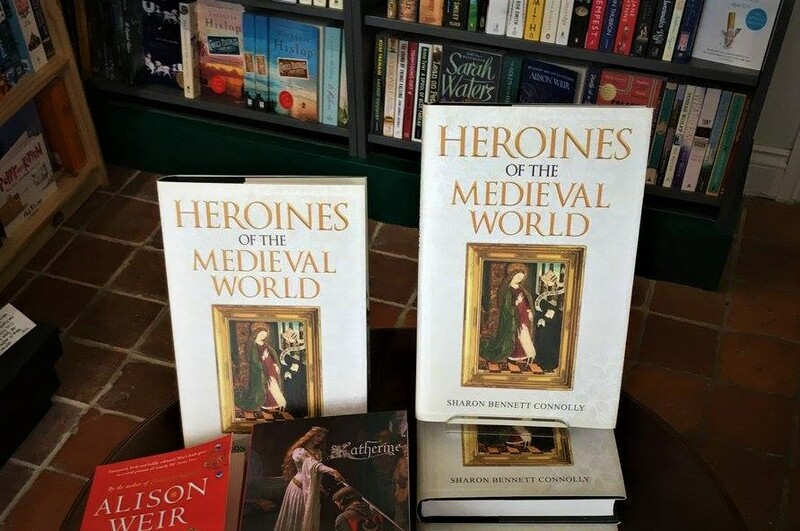 She is one of the major influences of my book, Heroines of the Medieval World and appears, appropriately, in the chapter on Warrior Heroines. 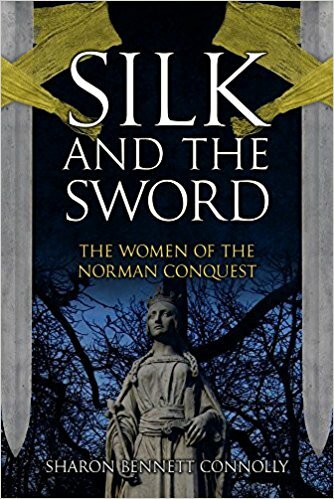 Joanna Arman’s non-fiction book The Warrior Queen: the Life and Legend of Æthelflæd, Daughter of Alfred the Great is well worth a perusal. In addition, with her appearance in Bernard Cornwell’s wonderful The Last Kingdom books and television series, and Annie Whitehead’s novel, To Be A Queen, Æthelflæd’s story is finally being brought into the light. On the 1100th anniversary of her death, her incredible achievements are being celebrated in the heart of Mercia, in Gloucester and Tamworth. And not before time; Æthelflæd should be the inspiration for future generations of strong, influential women and stand out as an example of what can be achieved if you are determined enough. Footnotes: ¹ The Anglo-Saxon Chronicles by Michael Swaton; ² ibid. Further Reading: The Anglo-Saxon Chronicles by Michael Swaton; The Anglo-Saxon Chronicle by James Ingram; Chronicles of the Kings of England, From the Earliest Period to the Reign of King Stephen, c. 1090–1143 by William of Malmesbury; The Chronicle of Henry of Huntingdon by Thomas Forester; Alfred the Great by David Sturdy; Brewer’s British Royalty by David Williamson; History Today Companion to British History Edited by Juliet Gardiner & Neil Wenborn; The mammoth Book of British kings & Queen by Mike Ashley; Britain’s Royal Families, the Complete Genealogy by Alison Weir; The Wordsworth Dictionary of British History by JP Kenyon; The Anglo-Saxons in 100 Facts by Martin Wall; Kings, Queens, Bones and Bastards by David Hilliam; The Oxford Companion to British History Edited by John Cannon; oxforddnb.com.